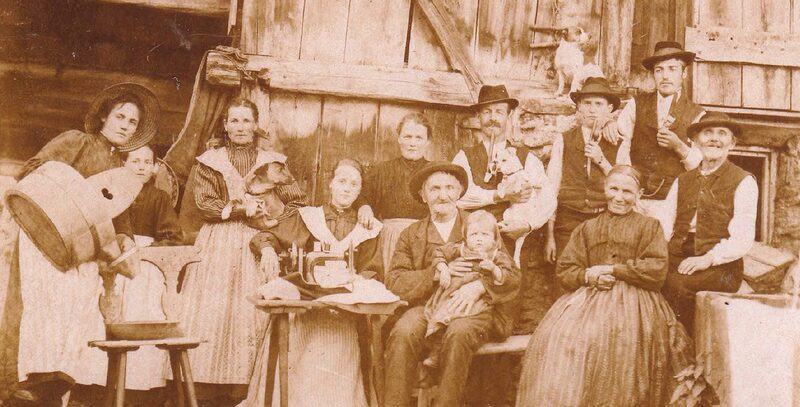 Ever since the long-distant year of 1685, historical documents prove that we – the Wolfsgruber family – have been welcoming guests to Huber Farm. 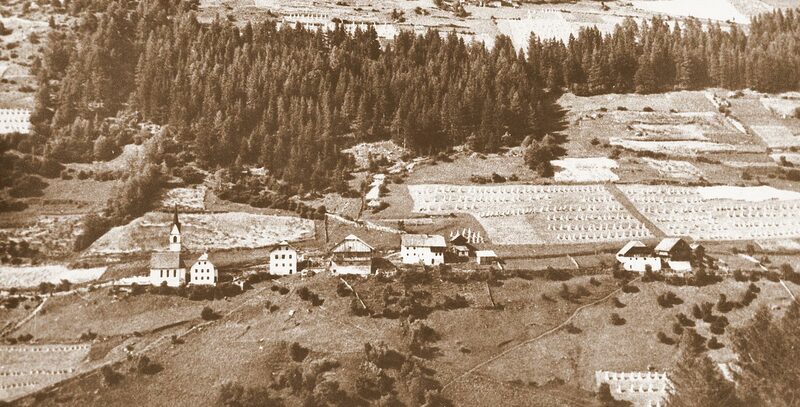 Following a devastating fire on the neighbouring Viertler Farm in the early February of 1930, the licence for the country inn was transferred from the burnt-down building to our Huber Farm. 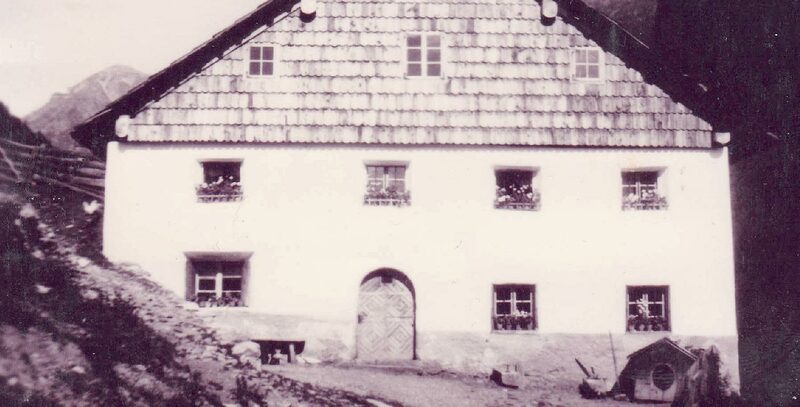 During the early years, the country inn struggled to survive – because very few guests stumbled across the steep mountain village of Mühlbach before the mountain road was built in 1970. 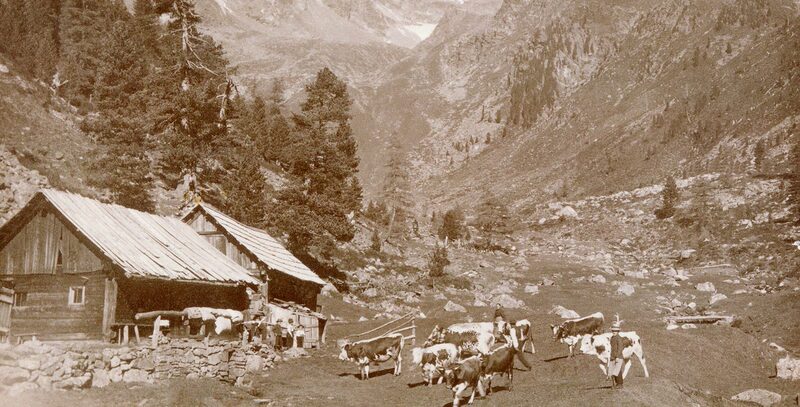 In the early days, guests had to complete the 700m upward climb from Gais to Mühlbach on foot – a hike taking around one and a half hours. Farming the extremely steep fields and meadows of our mountain farm was a mammoth task which had to be completed with few hands and minimal use of machines. In 1983, your current hosts Karl and Annelies Wolfsgruber took over the business from their parents. Virtually every year they invested huge amounts of time and energy in renovating and extending the buildings. Thus, over the years, Huber Farm slowly metamorphosed into the impressive and hugely popular village hotel you see before you today. One of the biggest efforts of recent years has probably been relocating the ancient farmhouse behind the hotel. During construction work on the farm building, the focus was on creating a modern and self-sufficient design. Today, Karl and Annelies’ three children – Hannes, Katrin and Stephan – all work in different areas of the hotel, together with their respective families. Over the years, Karl and Annelies have invested much energy, ambition and passion into making the hotel and farm what they are today: a long-established South Tyrolean country inn.